The website Sleeping in Airports has named HEL the best place in Europe for “the dreaded airport sleepover”. 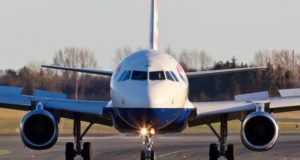 Whether your flight is delayed or you have an overnight layover, you may find yourself having to sleep at or by the airport. Such a situation is hardly ideal, but there are ways to stay comfortable if you happen to be at Helsinki Airport. 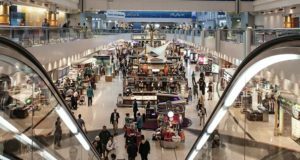 Sleeping in Airports, a website that features airport guides and reviews by travellers who have survived “the dreaded airport sleepover”, also makes an annual list based on voters’ reviews. 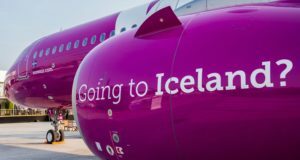 It has named HEL as the best airport in Europe and fourth best for “overall experience” in 2017. 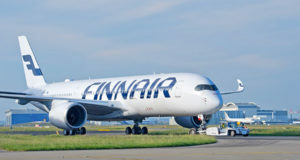 “Helsinki Airport offers numerous options for sleeping, with accommodating staff, clean facilities, good security and comfortable furniture that includes armrest-free benches and reclining chairs,” Sleeping in Airports notes. A number of lounges at Helsinki Airport are not limited to first-class passengers and are open either for free or to non-members for an entrance fee. The Finnair lounges, for example, at gates 22 and 50A-M, provide “a relaxing space adorned with classic Finnish design pieces,” according to airport operator Finavia, while more Nordic elegance can be found at the SAS Lounge (Gate 13). The Aspire Lounge (Gate 27, upstairs), meanwhile, even comes with birdsong. The Almost @ Home Lounge (Gate 32) has the feel of a living room, whereas the Kainuu Lounge is a 24/7 forest-inspired free space open to all passengers (Gate 31). 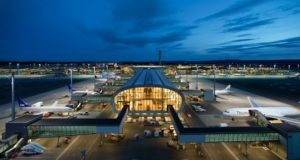 As for hotels, at Helsinki Airport the GLO Hotel Airport is on the ground floor of Terminal 2, while the Scandic Helsinki Airport is the latest full-service hotel to open at the airport, set next to Terminal 2 in the Operation Centre. And about 100 metres from Terminal 2 is the Hilton Helsinki Airport. Or, for a quick nap, there are Europe’s first airport sleeping pods.